Yesterday was my five year high school reunion, which is weird for me to think about. I got to see people that I actually haven’t seen since graduation, as well as others that I’ve kept in better touch with, and it was awesome to be able to hear about what everyone was up to. A lot has changed since high school (I definitely wasn’t as into baking back then), but in a lot of ways it was nice that some things stayed the same. Also, I found out that some people have been reading my blog (Hi Michelle and Liz!). 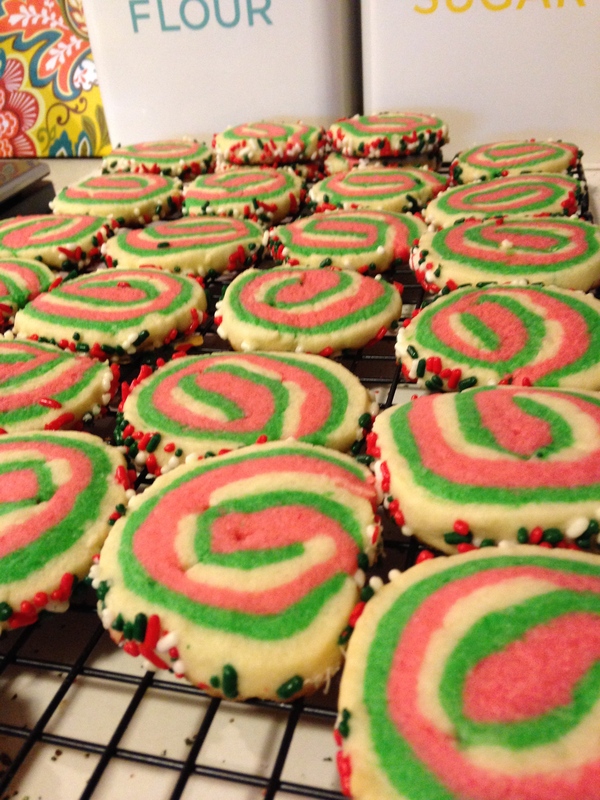 So in case you are looking for a last minute Christmas cookie that’s easy and cool looking, this week I’m posting my Christmas Roll Sugar Cookies. It’s the same base as my very first post, but instead of rolling and cutting shapes, you make a roll for slice and bake style cookies. So first, combine the flour and baking powder in a small bowl. 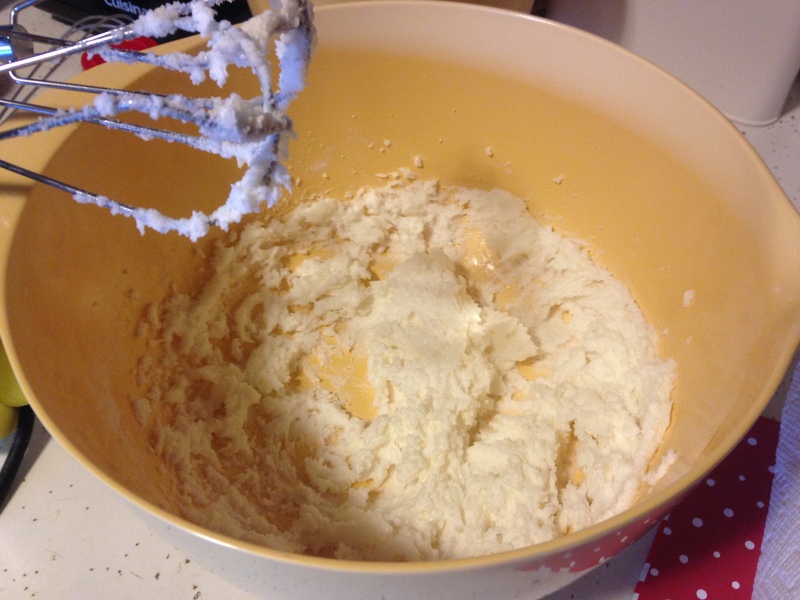 Then, in a large bowl, cream together the shortening and sugar until smooth using a hand mixer. Add the eggs and vanilla and beat to combine. Add the flour mixture and beat until fully incorporated. Separate the dough into 3 equal parts. Add red food coloring to one portion and green to a second. 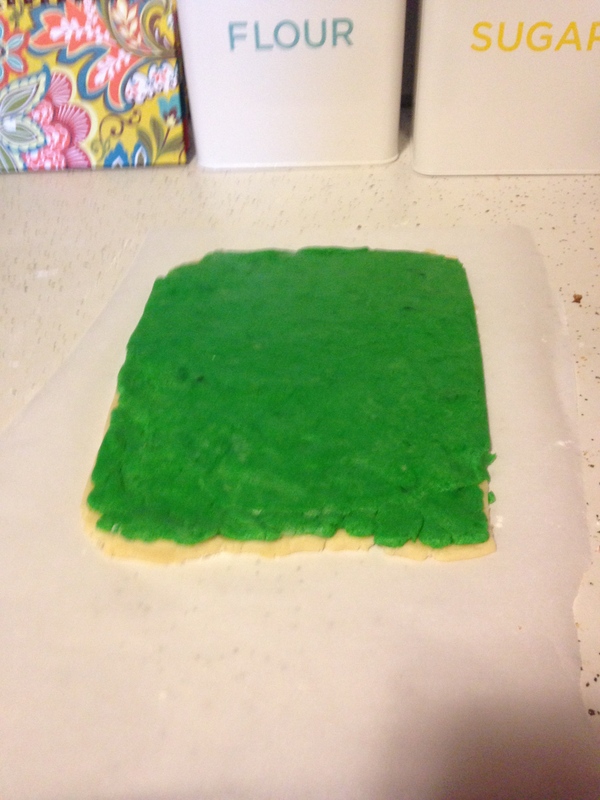 I used the Wilson gel food coloring so it wouldn’t mess with the consistency of the dough, but make sure you use a lot if you don’t want preppy pink and green cookies. Chill the dough, covered, in the refrigerator for about an hour to make it easier to roll. 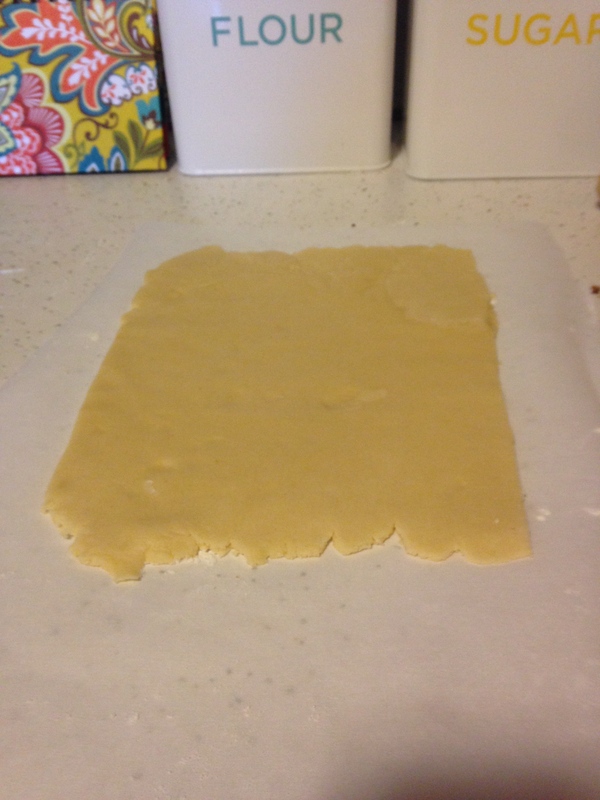 Then, roll each portion out into a rectangle of about the same size on pieces of wax paper. 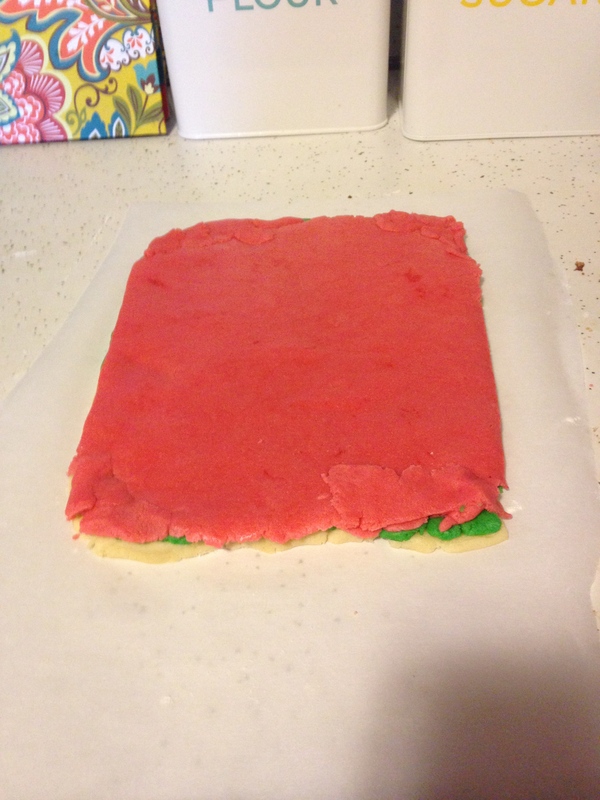 Stack the dough rectangles, one on top of the other, and trim the edges to make sure they line up. Obviously, color order is up to you. Starting on the long side, roll the dough into a log. Wrap the log in the wax paper and freeze for a couple of hours. Once the dough is frozen, it will be way easier to slice. 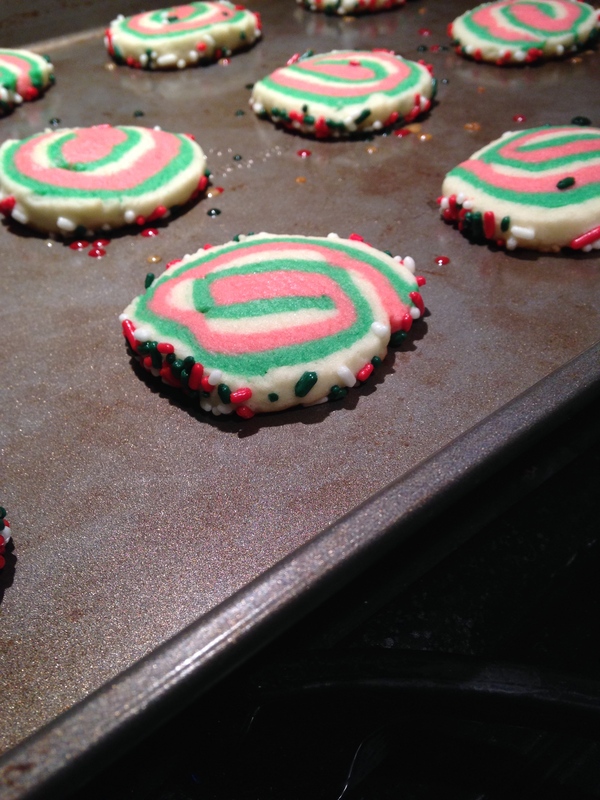 Slice into cookies, rotating the log a quarter turn after each cut to prevent one side from flattening. 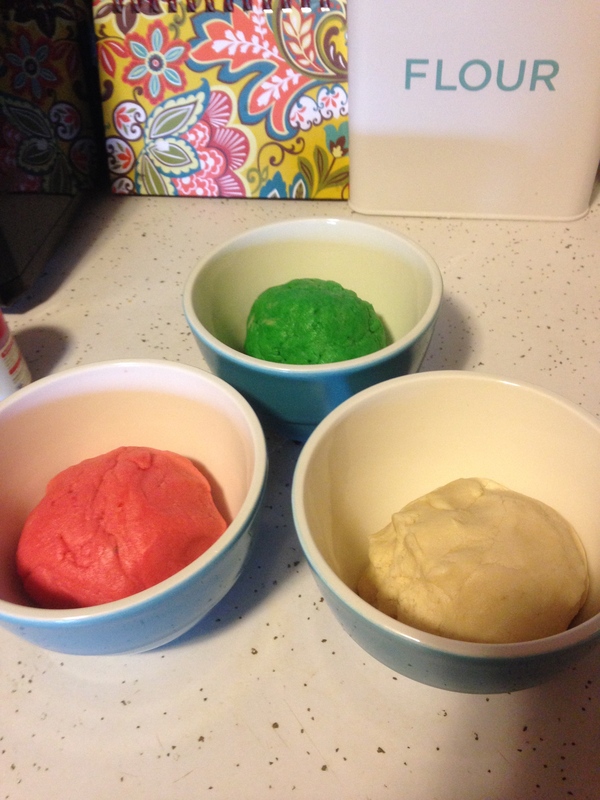 Roll the dough in colored sprinkles and place two inches apart on a baking sheet. Bake at 375°F for about 10 minutes, or until slightly golden. Remove from cookie sheet and transfer to wire rack to cool completely. They kept well in an airtight container at room temperature for at least a week without getting stale, so they make a good addition to cookie tins! 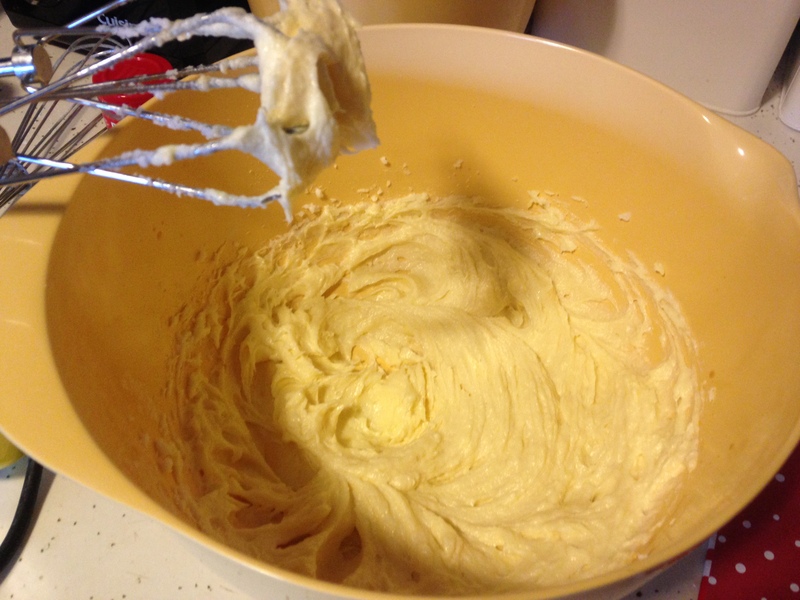 Cream together the shortening and sugar in a large bowl with a hand mixer. 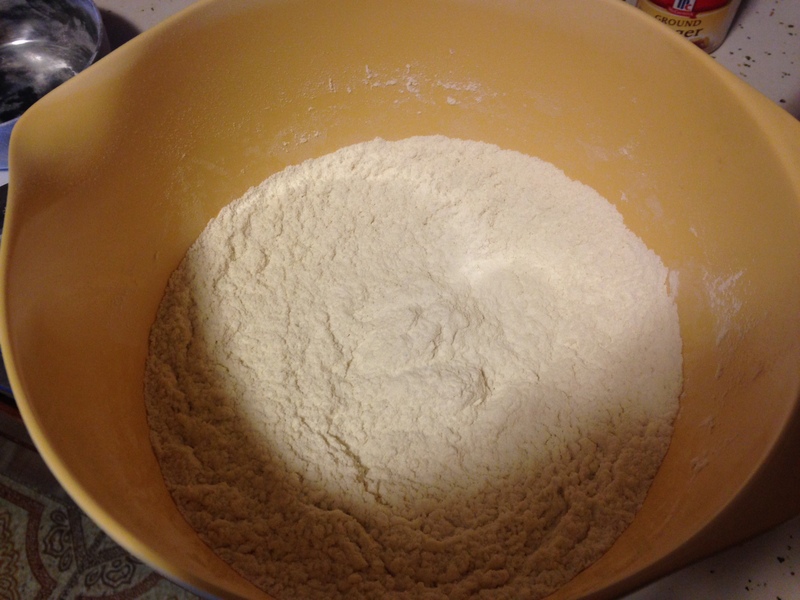 Add the flour mixture and beat until fully incorporated. 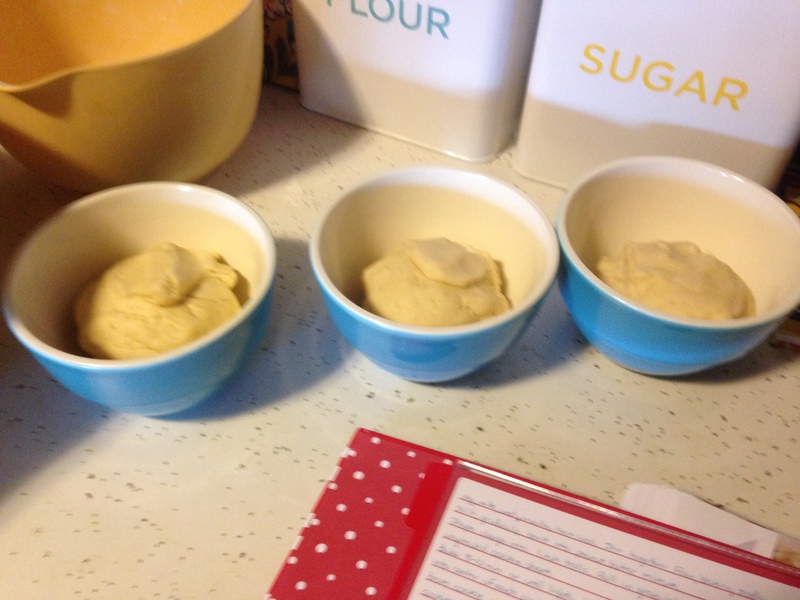 Separate dough into 3 separate parts. Cover with plastic wrap and chill for an hour. Roll each portion into a rectangle on a separate sheet of wax paper. Stack the rectangles and trim edges to make even. 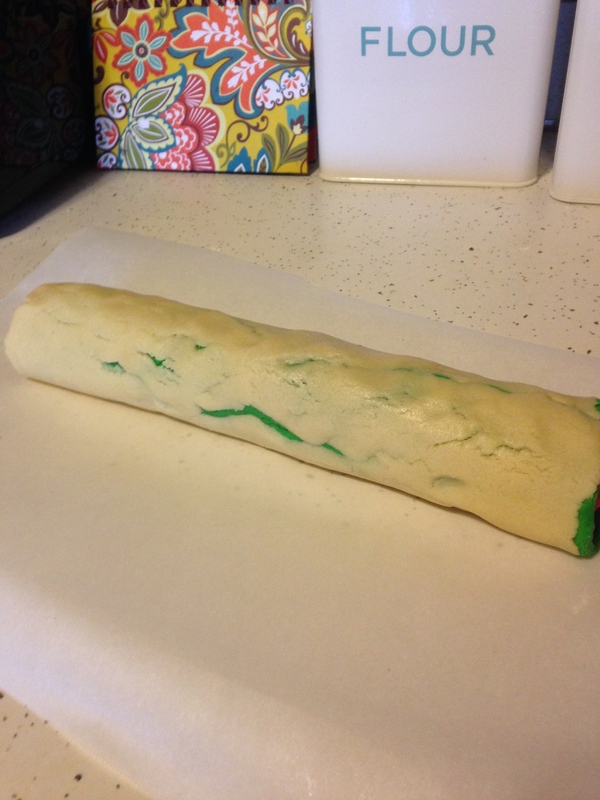 Starting on a long edge, roll the dough into a log. Wrap in wax paper and freeze for at least 2 hours. 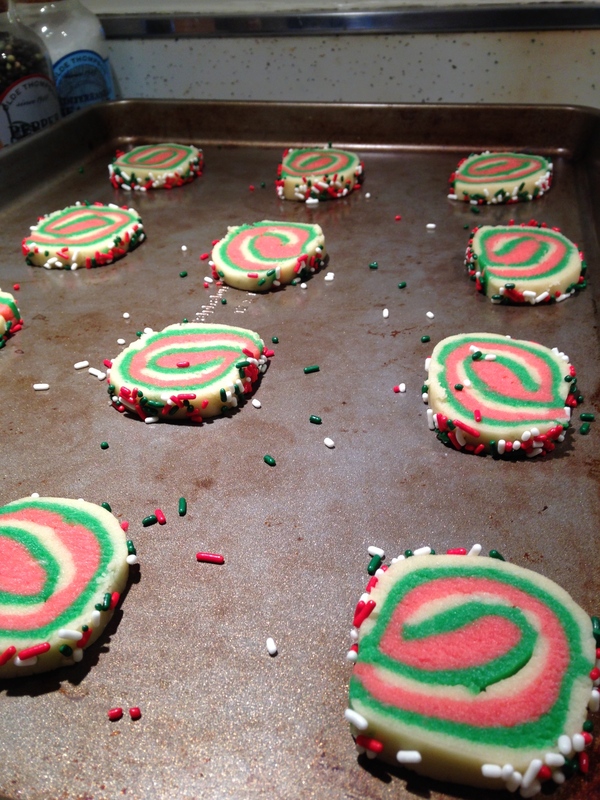 Unwrap and slice dough into cookies, rotating the log a quarter turn between slices to prevent flattening. 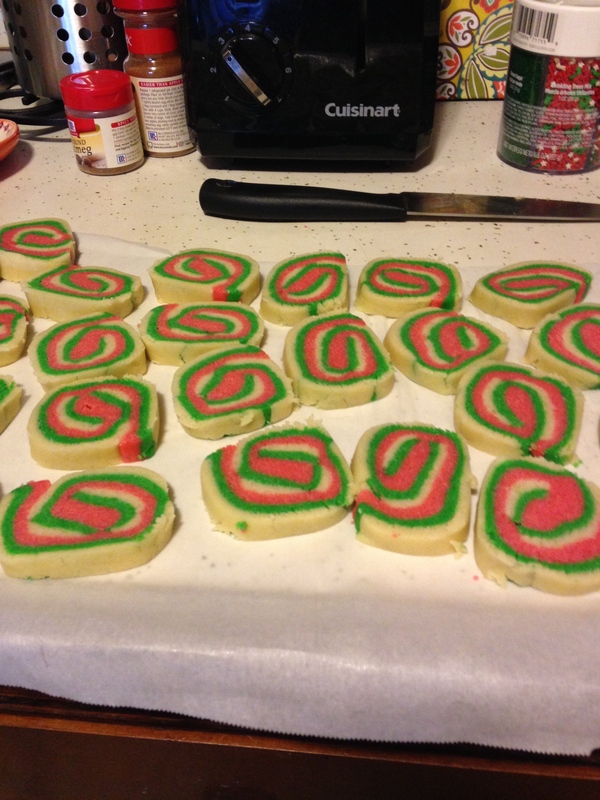 Roll cookies in sprinkles and place on ungreased cookie sheet. Bake at 375°F for 10 minutes or until golden. Transfer to wire rack to cool completely.